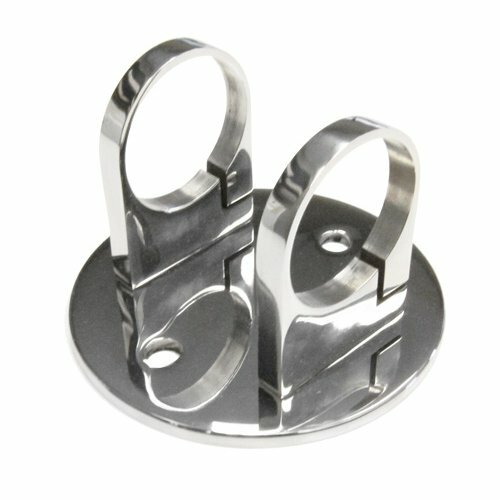 Miami Stainless supplies wall mount brackets in mirror polish to suit 2 inch tube. Use this bracket to side mount posts for wire balustrade or glass pool fence on decks to increase floor space. The strong and sturdy design comes ready to install saving labor and time on customising brackets. Requires a 4mm allen key to tighten clamps.